Writing this blog has been harder than I expected. It has not been because there has been nothing to write about because the things I have learned along the way could fill a small book. I suppose that I could blame it on the busyness of preparing to move, but the truth is that there were many times that I sat down to write that I just could not put words on paper. I think it was due to the intensity of the emotions that I was feeling. I found that I did not have the words to express what was going on inside of me. My sentences seemed like soda that had lost its fizz. 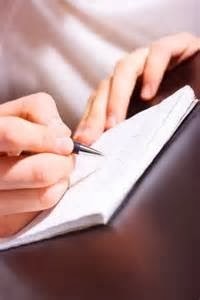 I thought that the process of writing a blog would help me in making the transition and would allow others to go on the journey with me. After repeated attempts I decided that it wasn't the case. I needed to wait until I had some perspective before I picked up a pen again. So what was I feeling? In large part I was experiencing intense grief. The pain was indescribable. It was the burning pain of loss. Picture a broken tooth with an exposed root dangling in the air. That's how I felt inside. Consider some of the things that we were happening. Our oldest son and his wife were becoming parents. Our youngest son was beginning college fifteen hundred miles from where he grew up. We were moving almost five thousand miles away from our kids who were making major life changes themselves. We were leaving our mothers and our siblings. Phone calls and emails cannot replace the opportunities to see one another. Holidays were going to be different. Christmas would not be the same. They don't celebrate American Thanksgiving in France. We wouldn't be a part of these family gatherings for a long time. We were leaving the best of friends. After fourteen years we had grown some of the best friends we had ever had. While we expressed every intention of staying in touch we all know that when someone moves away the relationship changes. We were leaving a wonderful church family. The church that we were fortunate to be a part of for fourteen years had been a source of countless blessings to us. There were many days I fought to keep a confident expression to help others process the fact that their pastor was moving away. What I really wanted to do was cry. Sometimes I did. We were leaving the north woods. There is something almost magical about the lake country of northern Minnesota. Ever since I was a little boy I always wanted to live "up north". For a decade and a half I had the opportunity to enjoy life on a lake. We were leaving our country. I've been proud of the ideals of America and the freedom that we enjoy as Americans. We're not a perfect country, but I have always loved its history, its geography and its people. It is home. So there was pain. And while that emotion might be easy enough to understand, what made this painful grief more difficult and confusing was that it was mixed with anonther emotion that was equally intense. Perhaps it can be described as giddy joyfulness. We were heading back to Strasbourg! I was more excited than a child anticipating Christmas. I was counting the days and hours until the plane left. We fell in love with Strasbourg last summer. We love the feel and layout of the city. Its cathedral, canals, buses and trams, restaurants and cafes are a delight. But more than that, the people that we met were precious. We simply could not wait to get back and renew friendships. We knew that God had called us to be a part of this church. My heart was filled with anticipation of what the Lord is going to do in Strasbourg. I found myself bursting at the seams with excitement. But how do you say that to those who are not going on the journey with you? How do you talk abou the joy you feel without also sounding like you are glad to be leaving THEM? I tried to talk about it, but few understood. I could tell that my words of enthusiasm were causing them pain. This mix of strong emotions made blogging about anything difficult. Looking back at these months I now see that they were similar to running a marathon. The opening miles are filled with enthusiasm and confidence. In my enthusiasm I wrote many blog posts. There comes a point in a marathon where it is simply hard work. The pain grows as the miles go by. You remain grateful for those cheering you on, but they don't know the pain that you are experiencing. Perhaps they don't even understand why you are running in the first place. You become silent. I quit writing. Finally a deep weariness that sets in. It takes supreme effort to keep the legs moving. You are willing each step. You must reach the finish line. 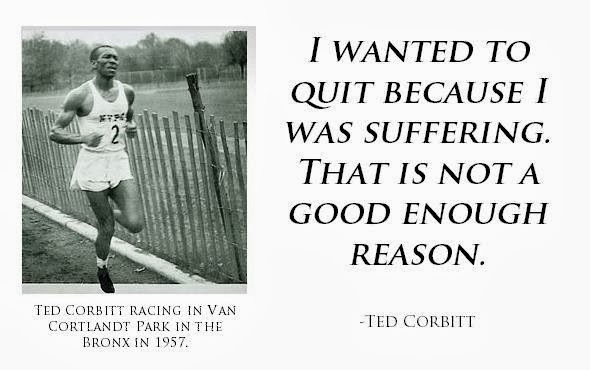 Each step is painful and takes supreme effort, but the pain of quitting would be far greater. So you endure. While the supporters along the way are doing their best and they are essential to finishing the race, you are too tired to even return a smile. Their encouragement bounces off of you unheard because of the pain and mental exhaustion that has set in. You hope they understand why you don't even look up as they cheer. When you finally cross the finish line you are filled with an overwhelming sense of accomplishment. Then you rest, stretch, and rest some more. Eventually you are able to talk about the race and the things you experienced along the way. The pain is a memory and what is left is joy. After finishing the grueling marathon of moving across an ocean, I am finally able to write again. The first thing I want to say is thank you to all those in the States that helped us reach the finish line. You have been and continue to be faithful friends. You are an important part of my life (notice the present tense). To those greeted us here in Strasbourg as we crossed the finish line, all I can say is "Wow!". Your welcome and care have been a blessing that has made the emotions of the past months worthwhile. I wrote this post on May 4th, but didn't finish it up until tonight. The ice came off our lake on May 10th, by far the latest it has ever come off our lake. 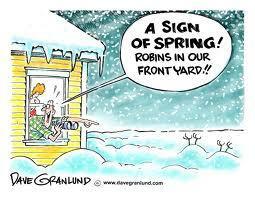 This is the latest spring on record here in the north. I guess that means that it is also the longest winter. One cheery soul pointed out that it is only seven weeks until the days start getting shorter again. The late spring has messed up the normal timing of events around here. Next weekend is the fishing opener, but the lakes are still covered with thick ice and there were snow flurries today. The girls were wearing snowmobile boots under their prom dresses and trying to figure out what hairstyle would not be ruined by a stocking cap. The birds have been late in arriving. Birders a few hundred miles south of here have been commenting on the unusual number of robins covering their yards. They are stacked up like planes at O'Hare waiting for the weather to clear so that can resume their flights north. We've seen a few flocks recently, but it wasn't until last week's warmer weather that we saw them in any abundance. This morning that I heard my favorite sound of the north country. 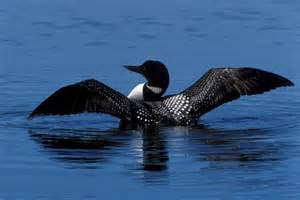 A loon flew over our house calling out as it searched for open water. The only open water around here right now is at the end of Lawrence Lake, where it empties into the Prairie River. Dozens of loons have been gathered there for a couple of weeks waiting, like the rest of us, for the thawing of the ice. Soon they will be back in their nesting areas. There nests are built right at the water's edge because the loon is terribly inept on dry ground. They normally hatch two youngsters and will spend the next several months caring for them. In addition to the safe nesting site, the loons will utilize a "nursery". This is usually a quiet bay that ideally is clear enough for fishing, but also shallow enough to limit the size of the fish likely to prey on the youngsters. 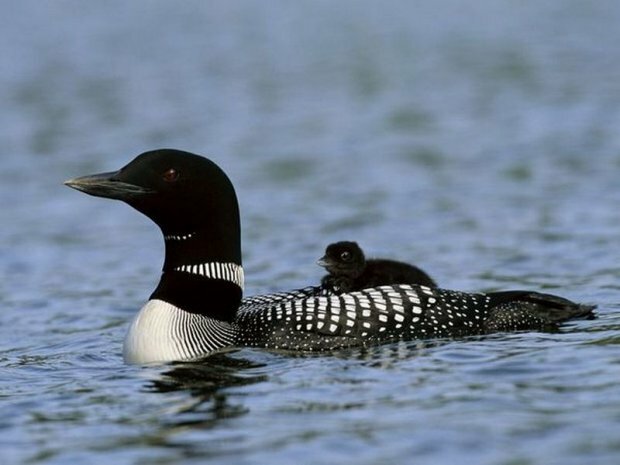 For the first week of their lives, the baby loons will spend a little over half their time riding on the backs of their parents in order to avoid being eaten by large fish. By the time they are eight weeks old, the young will be catching all of their own food. They are completely at home in the water. They can quickly dive under the surface or slowly sink like a submarine. Once underwater, they can dive up to 200 feet in search of fish and can stay under for an amazing length of time. I have timed them staying under water for almost two minutes. To watch them swim under your canoe is an amazing experience. Their speed is incredible. My fascination with loons started when I was a boy on a fishing trip with my dad. We had driven up into the north country in search of "whatever is biting". I remember sitting in our small boat when suddenly these two birds started chasing each other up and down the lake. Their wings were flapping, but it looked like they were running on top of the water. The show lasted for a good ten minutes and it sounded like they were laughing the entire time. (I found a video of something similar). "What are those, dad?" I remember asking. He chuckled, "Did you ever hear the expression 'Crazy as a loon?' Now you know where it comes from. Those are loons." I fell asleep that night listening to their calls echo across the lake. But they don't just laugh. On misty foggy days when the cedars are dripping constantly and the smell of the moist forest floor fills the air, the wail of the loon can be heard. It is a lonely prehistoric sound entirely fitting the scene. Like a distant foghorn the loon calls looking for its mate. In the distance the reply will be heard. It is unmistakably the sound of the border country. Over the last fourteen years we have been fortunate to live on Snaptail Lake. This northern Minnesota lake is home to a pair of loons that we watch all summer long. We see them swim past every morning and listen to their calls as we climb into bed at night. What the call of the meadowlark is to the Great Plains, the sound of the loon is to the North Country. It is a symbol. When I lived in the city it was an invitation to a simpler life. It has become the sound of home. With a little help from our friends we managed to sell most of our stuff. Many pick-up loads were hauled to a nearby community center where friends unpacked our things and set them out on tables for a two-day sale. While there was some order to the event, to say that things were neatly displayed would be an overstatement. It started out that way, but by the end of the unpacking we had piles of stuff on twenty ten foot-long tables. The parking lot was full the next morning when we opened the doors for the sale and a steady stream of people came and went throughout both days. There were only a few moments that no one was browsing through our things. When it came time to close the doors at then end of the sale, little remained. Some furniture and an expensive bike went in a pick-up truck. Almost all of our other furniture has been sold to friends who are letting us keep it until we move. Everything else fit into three small cars and will be sold at a garage sale early next month. So what have I learned through the process? Selling your stuff is hard. 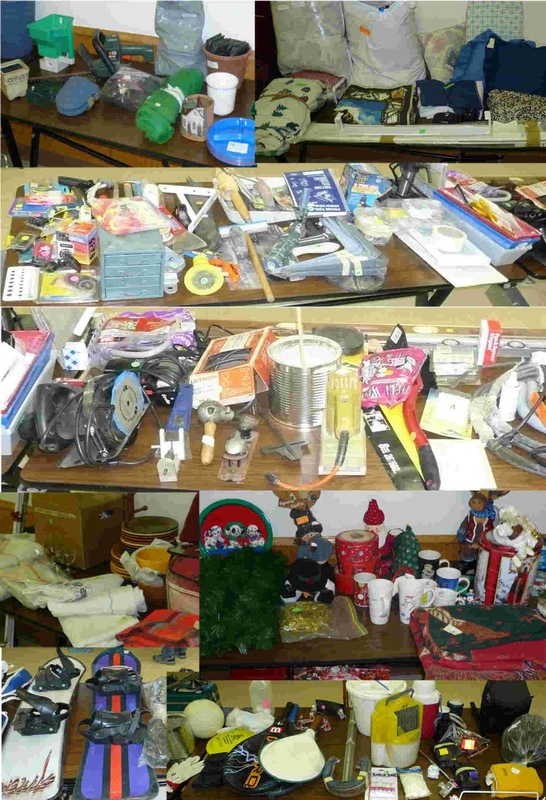 I have written before about how much stuff I had that I was going to get rid of in order to move to Strasbourg. I wrote that it was hard to contemplate getting rid of things because things can be a source of identity and refuge. As I dealt with those heart issues, I sensed a growing freedom because I was "free" of those things and found greater identity and refuge in Jesus Christ. As I actually sold my stuff I discovered additional difficulties that I didn't really expect. Selling your stuff is tedious and can be hard on a marriage. Open any closet or drawer in your house and think about putting a sticker with a price on every item. How much for an umbrella? A plastic serving platter? A jigsaw puzzle? A bottle opener? Or consider your workbench. How much would you sell a jar full of nuts and bolts for? Do you sort them by size or just stick a price on the whole mess? We quickly used up the fancy labels we bought, cut up mailing labels from our printer until we ran out, and finally resorted to writing prices on masking tape. Hundreds and hundreds of stickers. Most in the twenty-five to fifty cent range. It can become pretty mindless work after a while. Which leads to the "discussions" as you notice that your spouse has marked something twenty-five cents that you think should be fifty. Seriously, we had many discussions about things like that! It was worse than hanging wallpaper. While sorting and labeling and boxing all of our things for the sale was a lot of work, that wasn't the most difficult part. The hardest part were the moments when I came across something unexpected. Like finding my grandfather's coin collection. 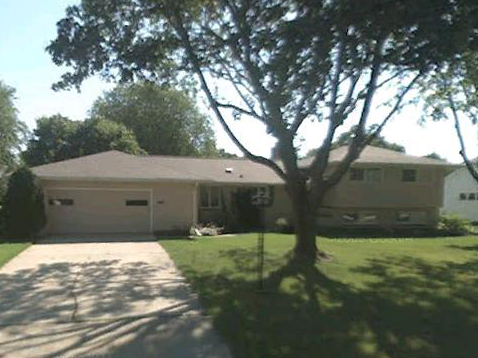 Suddenly I was little boy at grandpa's house in Neenah, Wisconsin. The carpets were olive green. He had a little office with a built-in desk along the wall. It was covered with glass under which he had tucked family pictures and a few news clippings. I was standing next to him and he was showing me his collection of U.S coins. Mostly pennies and nickels, but as a child I was fascinated by them. Now as I held those blue books filled with coins, the memories came flooding back. I swear I could smell his cologne. I opened a box in the basement and came across a half-finished carving. It was a relief carving of George Washington. My father had done one of Abraham Lincoln that turned out well, and this one was going to complete the set. The hair was beautifully done, but there was something about the mouth that wasn't right. It had stumped my father and he had set it aside hoping that some time away from it would lead to a different perspective that would help him finish it. It was still undone when he died. While I am not the carver my father was, I had looked at it several times hoping to finish it, but couldn't figure the mouth out either. There must have been something wrong with the initial design. But what do you do with your dad's half-finished carving? Or the chessboard he made for you when you were a child? 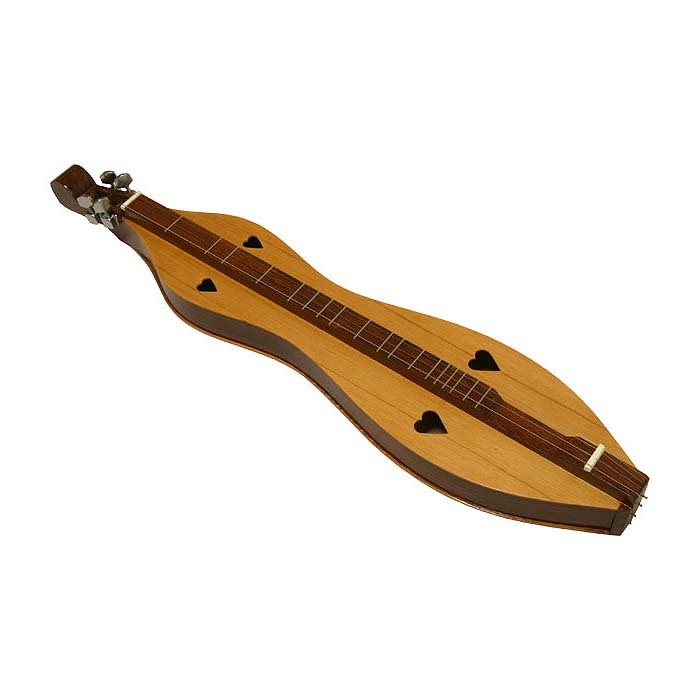 Or the dulcimer that he built? It was hard. We had too much stuff. As I look around the house now it is more open because some of the furniture is gone. I actually like it better. We've kept the essentials (like a coffee pot) but we sold about thirty coffee mugs. Some of our remaining things we will give to charity or friends when we leave. It is hard to tell what we have done until you notice that the closets are almost empty. The crazy thing is that we sold twenty table-fulls of stuff and haven't missed anything! Well, that isn't exactly true. We had two rakes and I gave one to a friend who recently bought her first house only to discover that the rake I kept needed some repairs. I had to run to the store and spend twenty cents on a bolt, a nut, and couple of washers. Other than that, I haven't missed anything. I don't think I will, either. Here at church we are offering a class called Financial Peace University by Dave Ramsey. It is great material, and he talks about the fact that most of us have way too much stuff and yet we borrow money to by more things we don't really need. He recommends that those in debt consider selling some of their things to get out of debt.While we sold our things because we are leaving the country, if you are taking FPU and thinking about selling something to get out of debt, I can say that we are not just getting by with less stuff, we don't even miss it! It wasn't rollicking good times, but there was a part of selling our things that was enjoyable. It was fun to watch the someone buy grandpa's old "Green Box" fish locator. He was so excited! It sat in the basement for years, but it was one of the first things out the door. The chess board? It wound up at the home of some of our dear friends. She will probably wind up selling it in her shop, but that's okay. I haven't played a game of chess on that board in over thirty years. Dad never did make the pieces to go with it. it. He looked at, tuned it up and played it for a few moments. He noted that it was built from a kit and that the builder had written his name inside. I told him it was built by my father which made him reluctant to name a price. I told him that he couldn't insult me and he finally named a price. He walked out with a dulcimer and I was thrilled that it found a home where it would be played. Oh, what happened to the partly finished George Washington carving? It wound up in the garbage. That's okay. Occasionally I carve a piece that doesn't work out. The pattern or the execution was poor and the result is bad. 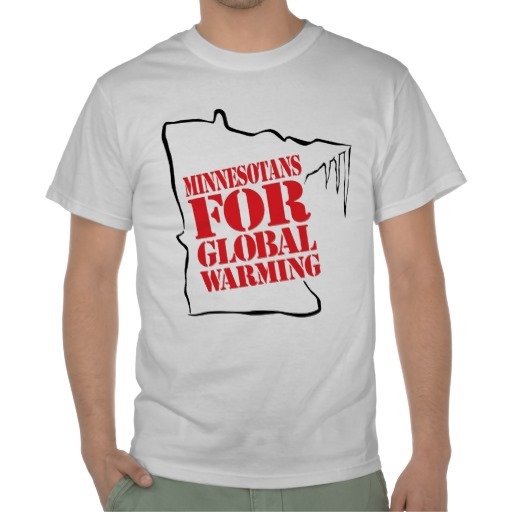 If it is winter it simply becomes expensive firewood. While it had some sentimental value, it really wasn't worth keeping. Perhaps the biggest lesson I learned was that I have an incredible group of friends. The number of people who were willing to help us move and then unpack basically our whole house in one evening as part of our moving away from them was overwhelming to me. Not only that, but I suspect that some of the many church people who bought something did so just so they could help us out. At the top of the list of incredible people in my life is my wife. Reading this article probably makes you think that I did most of the work and that would be totally wrong. I spent a couple of days going through things that were strictly "my domain". She spent many more days sorting and pricing. Anything that might be of value she painstakingly researched so she would know what price to put on it. I am getting rid of many things to make this move, but one thing I will never get rid of is my wife, Janet. She is priceless. I have written previously about the reason that we are moving to France. Quite simply, we believe that the Lord is calling us there and as His followers, we will go where he leads us. Our time in France last summer began to open our eyes to some of the reasons why the Lord would have us invest our lives there. The greatest reason is the incredible need for people to hear the gospel. While the Cathedral dominates the landscape of Strasbourg, the spiritual reality is much different. Jesus does not dominate the lives of the people. The country is nominally Roman Catholic, but the Catholic church is continuing to lose influence in the culture and people are adopting an increasingly secular mindset. While 61% identify themselves as Christian, over thirty percent declare themselves to be non-religious. If we look deeper and ask how many believe that salvation is found through Christ alone, that personal faith and regeneration by the Spirit is essential, that the Bible is the inspired word of God, and that commitment to sharing the gospel is important (Operation World's definition of evangelical) the number drops to 1%. There are 4-5 times that number of Muslims in France. There is a higher percentage of evangelicals in Egypt than in France! The sad reality is that most of the people living in France have never truly encountered the Gospel. According to many sources, France is one of the least evangelized countries in the world. I think that this may be rooted in the history of France. As a country situated between Rome and Germany, France was a key battleground between the Protestants and Catholics. For much of European history, the church and state were intertwined. Emperors courted the church and church leaders courted the emperors. In for centuries France was entangled in series of religious wars that were fed by the egos of both the political and ecclesiastical leadership. Finally in the French Revolution the French people said, "Enough!" and cast down both the political and religious systems creating the first "modern secular state." Democracy was tied to freedom from the authority of the (Roman Catholic) church. Two hundred years later the result is a country that feels that Christianity is a mere relic of an unsuccessful past. At the same time, the occult has increasingly stepped into the spiritual vacuum. It is estimated that ten million French people see occult practitioners spending billions of dollars in the process. As we move to France in a few months, we are seeking to minister to the English-speaking community in Strasbourg, but our hearts yearn to see the French people discover the beauty of Christ and his amazing love for them. The obstacles are many, but through prayer and obedience to the Holy Spirit we believe that many will discover the love of the Savior. Pray that the legacy of religious/political violence would change from skepticism of Christianity to a renewed interest in the gospel. Pray against the widespread involvement in the occult. There are more people earning a living in occult practices than there are registered doctors in France! Pray about the declining influence of the Catholic church. In 2005 only 150 men were training for the priesthood. Pray that the Holy Spirit would breathe life into the church. Pray for unity among evangelical believers. There has been remarkable progress in this area over the last decade or so, but more needs to be accomplished. Islam is now the second largest religion in France. Pray for effective outreach to the Muslim community as well as peaceful assimilation into French society. Pray for youth ministry in France. The youth are a nation's future, and many young people are unemployed and France has the highest teen suicide rate in the world. One of the memories that we cherish of our stay in Strasbourg last year is the church across the street from our apartment: Saint Maurice. Its tower was a beacon when we were lost, its benches served as delightful reading places, and its bells were a constant reminder of God's presence. We are looking forward to returning to the shadow of that church building, just as when we were in France we found ourselves longing for the lake and the call of the loons. For some reason, I got to wondering the other day about who Saint Maurice was. I had never heard of him before and so I set off on a journey of research to learn about him. What a story I found! While it is somewhat shrouded in the mists of history, the basic facts are fairly clear. Maurice was solider from Thebes, Egypt who commanded a legion for the Roman Emperor, Maximian. It was a time when Christians were regarded with a high degree of skepticism by Rome, yet the legion of 6,600 which Maurice led had all committed their lives to Christ.The power of Rome was waning, and in the late third century the Emperor was faced with a number revolts of peasantry, particularly on the frontiers of the empire. To quell one such insurrection, Emperor Maximian ordered the Theban legion, led by Maurice, to clear the Great St. Bernard Pass (yes, those St. Bernards) of insurrectionists. 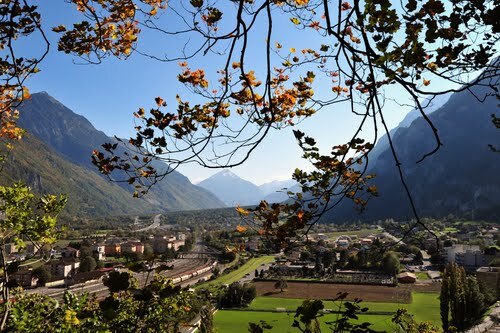 Upon arriving at the Roman outpost of Agaunum, high in the Alps, they were ordered to attack the peasants living nearby. When they discovered that the peasants were Christians, the entire legion refused to assault them. Then they were ordered to sacrifice to the Roman gods and the legion refused again. 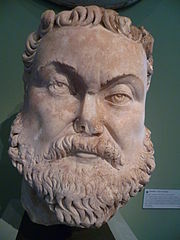 Emperor Maximian was incensed and after repeatedly having his orders ignored he commanded that the legion be decimated. This was a Roman practice used to punish belligerent or cowardly soldiers. One tenth (deci = 10) of the soldiers would be executed. The decimation order was followed and 660 of the 6600 soldiers were killed, yet the legion refused to offer the pagan sacrifices or attack their fellow Christians. An enraged Maximian issued another decimation order and another tenth of the legion was executed. When the emperor read this letter he realized that he would be unable to force these soldiers to take up arms against fellow Christians. He then had the the entire legion executed. In addition, he issued orders that any who belonged to this legion who were not present in the pass that day be hunted down and killed. Maurice's refusal to obey the Emperor's orders to violate his faith caused his life to be fondly remembered by fellow Christian soldiers. 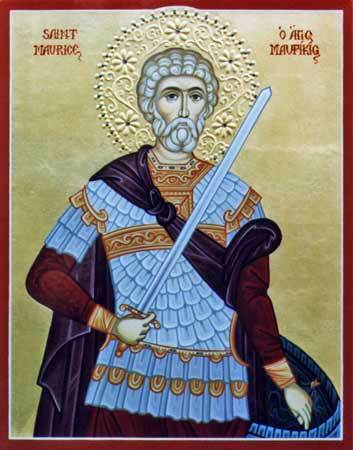 He is highly esteemed by the Coptic (Egyptian) Church and eventually became the patron saint of infantrymen in the Roman Catholic Church. 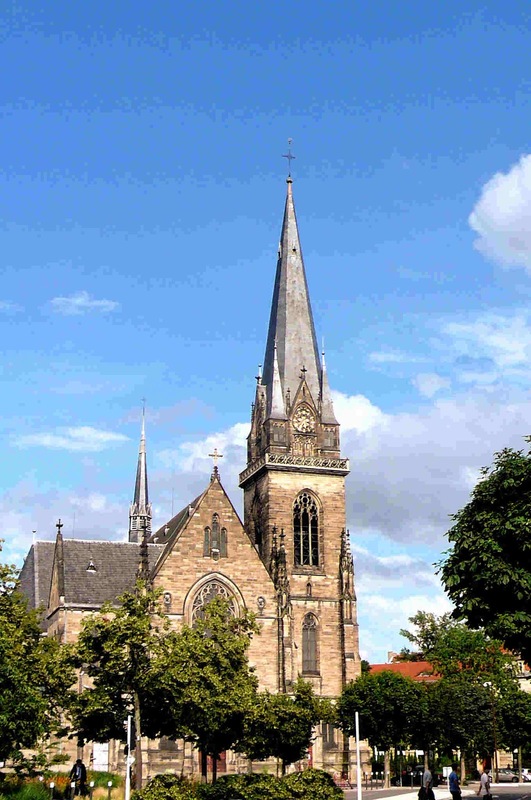 So it is a fitting name for a church originally built by the Germans for the use of Catholic military personnel stationed in Strasbourg. The site of the martyrdom of Maurice and his legion became a monastery. In 522 the abbot of the monastery instituted the recently developed pattern of laus perennis, whereby choirs of monks rotated so that they offered non-stop 24/7 prayer and worship to God. This non-stop intercession continued at the location for almost four hundred years! It introduced the idea of non-stop prayer and worship to the West and had a dramatic impact on monasteries all over France and Switzerland. Running down the story of St. Maurice was not only fascinating, it provided a link between the past and the present as we see 24/7 prayer movements spreading across the world. For me the bells of St. Maurice will now be a call to pray without ceasing. They will also remind me of a church in the northwoods of Minnesota that discovered the power of 24/7 prayer. 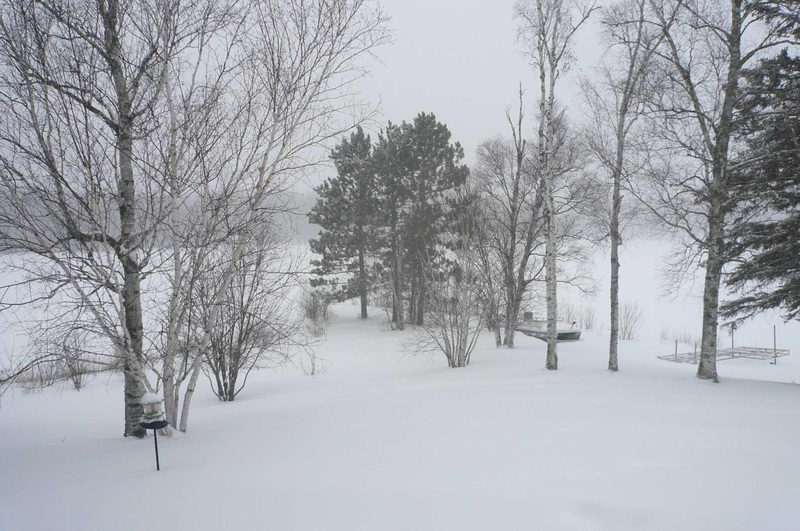 Winter is the way of life in the north country. Even in the summer a northern breeze seems to carry a bit of the arctic with it. On the warmest of summer days it seems like a person could climb a white pine and see winter on the edge of the northern horizon. It is March 27th, and the snow is still over two feet deep in the yard. A friend went snow-shoeing with her daughter today. Still, the season is ripe for signs. Just last week I smelled a skunk. Their odor, normally unpleasant, is one of the most welcome scents this time of year. Despite temperatures that are well below freezing, the smell means that the skunks are coming out of hibernation and beginning to become active. They are looking for mates. In May they will give birth to their young. Skunks are a nuisance most of the year, but when a whiff of their smell is carried on the winter breeze, it is a sure sign that beneath all of the cold, winter is weakening ever so slightly. This morning I thought I heard geese flying overhead. A check of a nearby river proved I was right: there was a patch of open water with 8 Canadian geese swimming in it. The sight of geese would not be noteworthy in June, but I haven't seen the geese for almost half a year. I watched them for a while as I pondered the fact that I had survived another winter. Last week my attention was drawn to another faint sound I had not heard for months: running water. It was the smallest of trickles, but my heart leaped at its sound. The sun, so low in January's sky that it carries no heat, had finally risen enough to begin the process of melting the snow. The south facing drifts are the first to feel its effects. Over the coming weeks there will probably be another snowstorm or two, but things are different now. The melting of the snow has begun. It will take weeks to finish. The lakes will open up around the last week of April and then in May the hills will begin to turn the faintest of greens. The magic of late winter in the north is not something that attracts tourists, yet it is more wonderful than going to the beach for the sun and a swim. 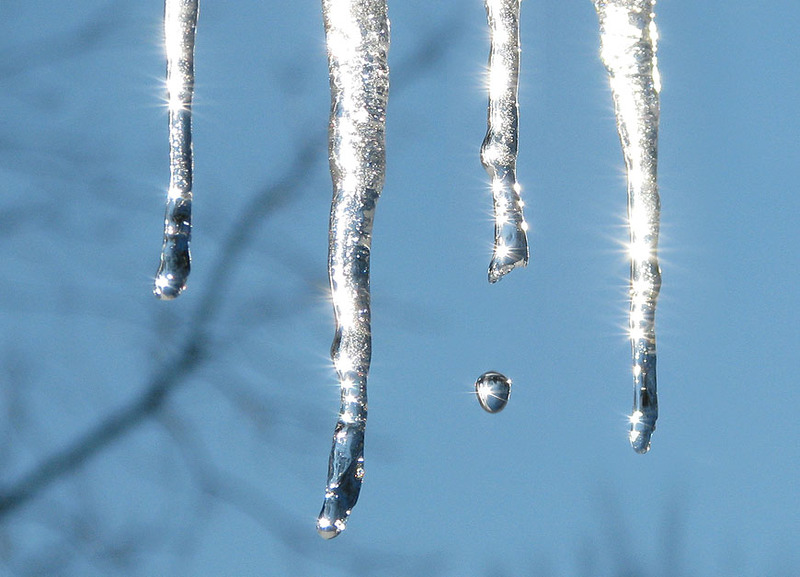 To know what the trickle of water means you have to go through a half-year of enduring the bitterness of winter. You have to have changed a tire when it is -30, driven countless miles on snow-covered roads, and despaired of ever truly being warm again in order to understand the smell of the skunk, the honking of geese, or the simple trickling of water. That is why I will miss it...because the end of the northern Minnesota winter is not something that you can ever visit. If in the future I return to the north at the end of March, I will only be able to remember what those signs once meant. I won't be able to truly experience them again. They will be a part of the wonder of my northern Minnesota past that I will never forget and always cherish. If you don't think this is funny, you've never spent a month below 0! I am an American. While this brings with it many benefits, it also carries with it a number of weaknesses. For example, the fact that I can drive for a couple of thousand miles from my home without needing to speak another language means that I have never learned to speak another language. Our sheer size and location between two oceans and two friendly neighbors means that world news is generally relegated to page three or four of the newspaper. Most Americans would have a hard time naming the heads of a half-dozen foreign countries. While my interest in missions has broadened my horizons, the reality is that I had never heard of Strasbourg until someone asked if I would be interested in taking a sabbatical there last year. Like many people, when I heard the name I assumed that the city was located in Germany. And I would have been almost right. It has been in Germany. Several times. Confused? I was. Here's the story. 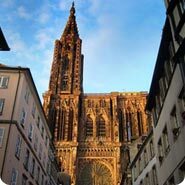 Strasbourg started out as an outpost of the Roman Empire in 12 BC. The Romans called it Argentoratum. As a base on the frontier of the Roman Empire, it suffered a variety of battles and was finally overrun by the "barbarians" in the fourth century. By the 10th century, the town had become known as Strasbourg and had become a part of the Germanic Roman Empire. While Christian worship had been taking place in the city for centuries, work on the city's crown jewel, the Cathedral, began in earnest in the 12th century. When completed in 1439, it became the tallest building in the world. Shortly thereafter, Johannes Gutenberg invented Europe's first movable type printing press in the city and the first modern newspaper was published in Strasbourg in 1605. The 16th century saw Strasbourg as influential center of the Protestant Reformation. Martin Bucer agreed with the teachings of Martin Luther and the city's printing industry helped the intellectual movement of the reformation flourish. Worship in the Cathedral became Protestant. For several years the great Swiss theologian John Calvin took refuge in the city. While Strasbourg was neutral during the Thirty Years War, it was suddenly annexed by the French in 1681. 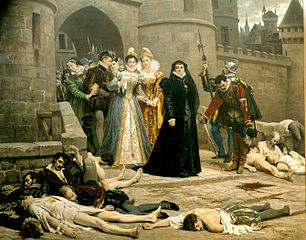 The French at the time were not tolerant of Protestants, but Strasbourg and the region of Alsace enjoyed a special status. The Cathedral was returned to the Catholics and Catholicism was promoted, but Protestants enjoyed relative freedom in the area. The French Revolution brought many changes to Strasbourg. Many churches were destroyed and the Cathedral lost many of its statues. In 1794 there was serious talk of tearing the Cathedral's spire down because zealots thought it represented ideals contrary to Revolution. Creative citizens quickly built a giant Phrygian cap (a symbol of the Revolution) and put it on the tower, thus saving this incredible building. The middle of the 19th century brought the Franco-Prussian war to the area and the siege of Strasbourg in 1870 destroyed many of the city's finest collections in a bombardment. Ironically, destruction came as a result of a poorly done French map that had been captured by Germans. The map erroneously labeled the city library as the city hall. At the end of the war, Strasbourg became German once again. A ring of fortifications was built around the city and are now popular destinations. 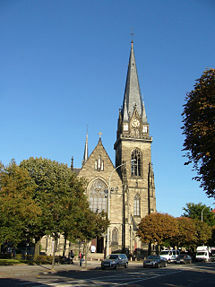 Two beautiful churches were built to serve the German troops. The Catholic church, Saint Maurice, is across the street from our apartment and its bells are a constant reminder of the presence of God. At the end of World War I the Treaty of Versailles returned the region to the French. One of President Wilson's Fourteen Points read, "All French territory should be freed and the invaded portions restored, and the wrong done to France by Prussia in 1871 in the matter of Alsace-Lorraine, which has unsettled the peace of the world for nearly fifty years, should be righted, in order that peace may once more be made secure in the interest of all." That security was short-lived. At the start of WWII, Hitler "liberated" Strasbourg and the Alsace region from the French. Many of young men who lived in Alsace were forced to serve in the German army at the Russian front. Robert Heinrich Wagner was installed to rule Alsace. His nickname "The Butcher of Alsace" sheds light on the conditions under the Nazis. Thousands died at his direction. Allied bombing damaged much of the city before French troops entered it once again in 1944 and it has remained French to this day. The Alsatian city of Strasbourg, with its long history of French and German influence has become a symbol of unity in Europe. In 1949 it became the home of the Council of Europe with its Court of Human Rights. In 1951 the European Parliament began meeting in Strasbourg and named the city its official seat in 1991. It is also the home of Trinity International Church, a church that welcomes people from all nations to join together in worshiping and serving the Lord Jesus Christ. So there you have a brief introduction to the history of the this wonderful town, where every person has a story and every corner has a cafe in which to tell it.